On 30 January, MIMOS signed the Ikrar Bebas Rasuah (Corruption-Free Pledge) with the Malaysian Anti-Corruption Commission (MACC) as a step in strengthening the organisation’s commitment towards uncompromising integrity. 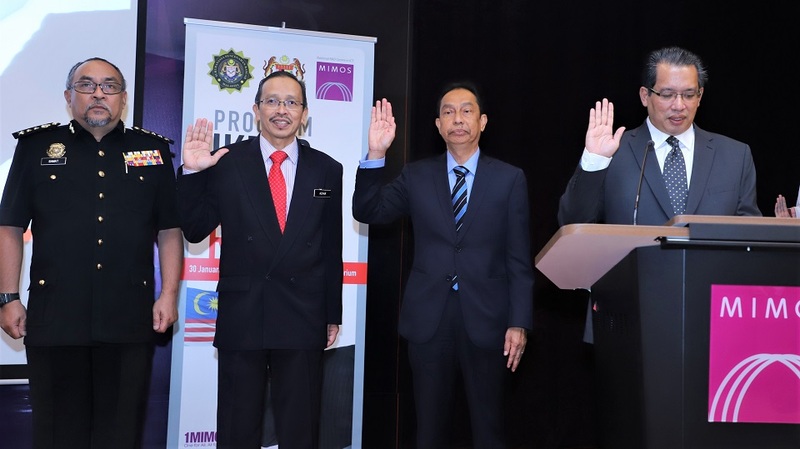 The pledge ceremony was led by MIMOS CEO Ahmad Rizan Ibrahim together with MIMOS Chairman Datuk Wira Omar Kaseh and witnessed by MACC Director of Community Education Division, Dato Hj Abdul Samat Kasah. Also present were the MOSTI Secretary-General who is also a member of MIMOS Board of Directors, Datuk Seri Dr Mohd Azhar Haji Yahaya, as well as 160 MIMOSians. 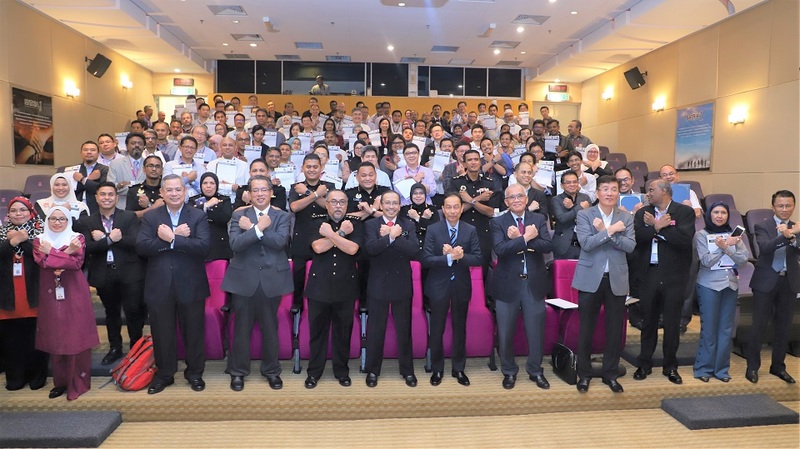 A part of civil service integrity enhancement programme, the Corruption-Free Pledge is a new initiative introduced by the MACC from an initial idea sparked by MACC Chief Commissioner Tan Sri Dzulkifli Ahmad. In signing and making the pledge, MIMOSians were reminded of four major points – to steer clear of corrupt activities, to always be transparent, to be accountable for all actions and to adhere to the country’s policies and laws. Ultimately, it is to ensure good corporate governance. Integrity has been one of the integral components of MIMOS’ transformation journey. In 2006, MIMOS launched its own Code of Ethics in an effort to strengthen the inherent culture of integrity in the organisation.